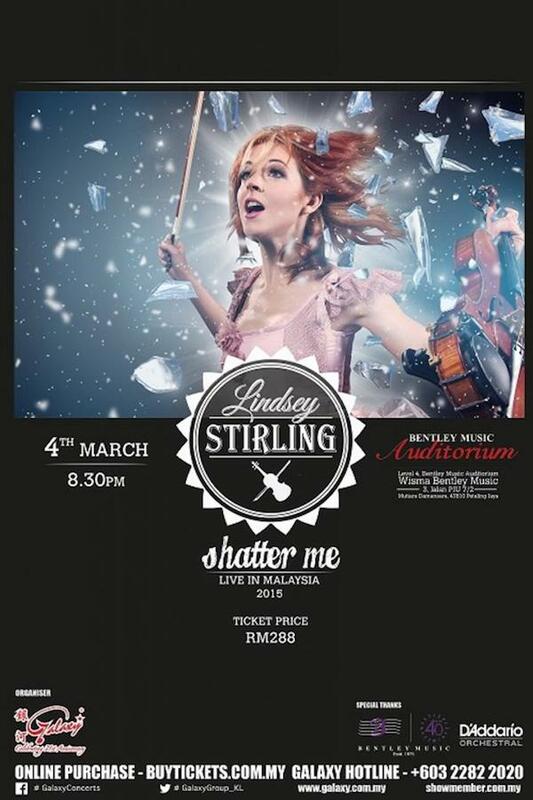 Galaxy Group is excited to announce that the most multi-faceted performers in the entertainment world, Lindsey Stirling, will head to Malaysia. Lindsey Stirling is one of the biggest artist development breakthrough stories in recent years. A classically trained violinist from Gilbert, AZ, Lindsey has entered a futurist world of electronic big beats and animation, leaping through the music industry with over half a billion views on YouTube, Billboard chart-topping hits and sold out tours worldwide. Lindsey’s self-titled debut album featured twelve original tracks; including the viral smash “Crystallize,” which has racked up over 111 million YouTube views. The album has sold over 474,000 copies in the US without the backing of a major label, and has gone platinum in Germany and gold in Poland and Switzerland. The album reached number one on the Billboard Dance/Electronic Chart and the Billboard Classical Album Chart and also peaked at #23 on the Billboard Top 200. RM 288.00 & RM 258.00 – Starting from 26th January until 9th February 2015. 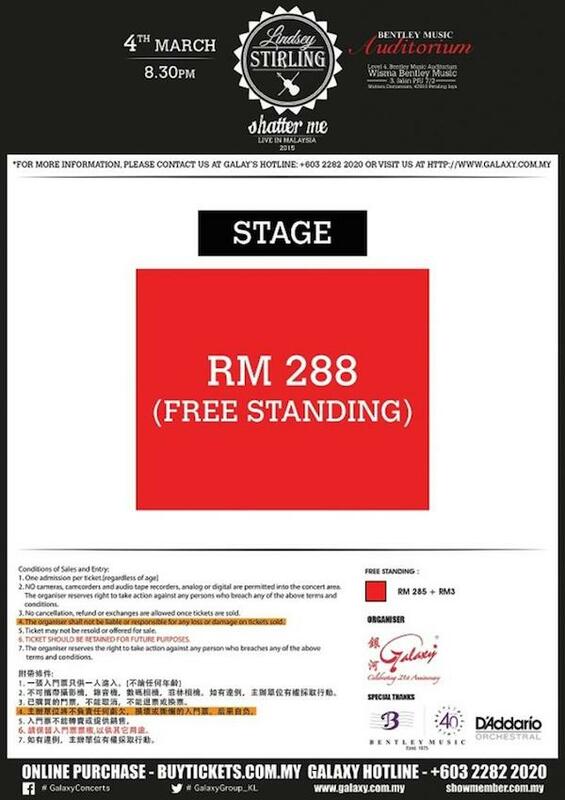 Tickets will be available at all Galaxy ticketing counters at Mid Valley, Sg Wang counter or online purchase via .